Obesity is emerging as a health epidemic around the world. According to the Centers for Disease Control and Prevention, obesity is rapidly spreading across all regions and demographic groups. An estimated 97 million adults in the United States are over weight or obese. That figure represents more than 50% of the American adult population. Of this group, 11 millions adults suffer from severe obesity. 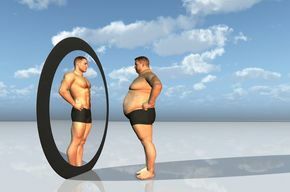 Obesity is an excess of total body fat, which results from caloric intake that exceeds energy usage. A measurement used to assess health risk of obesity is Body Mass Index (BMI). Criteria for laparoscopic weight loss surgery: BMI (Body Mass Index) above 39 BMI between 30 to 40 in the presence of other associated diseases that may improve with weight loss per example: high blood pressure, diabetes, sleep apnea, painful joint condition, arthritis, etc. Must be over the age of 14 (Individual cases may apply) Be over weight for more than five years Have tried to diet and excersice with no success Be prepared to make substantial changes in your eating habits No dependency on alcohol or drugs Acceptable operative risks. Contact us to resolve any doubts.